The detention, investigation and trial took place with numerous violations of the legislation of Azerbaijan and international law. During the investigation, torture and other unlawful methods were used. Punished for his criticism of the policy of the authorities in the religious sphere. 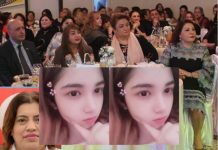 Seymur Hazi left the house on the morning of August 29, 2014, when a man named Muharram Hasanov approached him and asked why Seymur does not respond to his messages in social networks. And, without waiting for an answer, he hit Seymur. A few minutes later, police officers appeared and took Seymur Hazi to the police station. At the same time, the lawyer indicated that the date of commencement of the office work, the date of the examination, as well as the testimony of the instigator M. Hasanov do not coincide, and was not found by the experts of the “message” to Seymur Hazi from M. Hasanov. On March 26, 2011, Seymur Hazi was kidnapped and taken away by masked men in the resident settlement of Jeyranbatan, beaten and warned to no longer write about Ilham Aliyev. In this case, Seymur Hazi appealed through the press to law enforcement agencies, but no investigation was carried out. 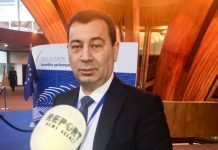 Seymur Hazi continued to criticize the authorities’ anti-popular policies and also criticized the broadcasts on the online television of Azerbaijan saaty, which is abroad. 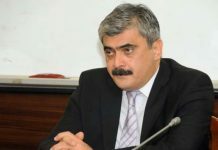 Elchin Ismayilli is a member of the Supreme Council of the Party of the Popular Front of Azerbaijan (PFPA), he wrote critical articles on corruption, and the arbitrariness of local authorities. In 2013, he covered the events in Ismayilli (the protests of local residents were suppressed by the police). E. Ismayilli was convicted for his professional activities. Elchin Ismayilli was prosecuted for critical publications about officials of the Ismayilli district. Before the detention, E. Ismayilli wrote a lot about the opening of a new poultry and livestock complex in Ismayilli in 2013-2014, but this did not happen. Also, E. Ismayilli wrote about lawlessness, unresolved social problems, violation of the rights of the residents of the district. On February 15, 2017 E. Ismayilli suddenly disappeared and 2 days did not have any news about him from his relatives. And only on February 17 the family found out that he was being held in a police station and a criminal case was brought against him. Afgan Mukhtarli lived for more than two years in Georgia. He left there after Baku Office of Radio Liberty was shut down. 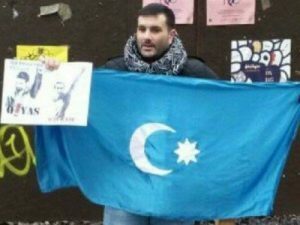 Afgan Mukhtarli was actively participating in actions against authorities of Azerbaijan, which were held in Tbilisi. He is also the author of research articles on corruption in the power structures in Azerbaijan. 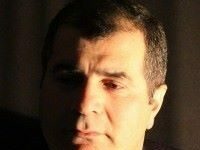 On May 31, 2017, during the hearing at Sabayil District Court, A. Mukhtarli told how he was kidnapped at the centre of Tbilisi on May 29, pushed inside the car, and taken from Georgia to Azerbaijan. According to his testimonies, he was kidnapped by people who spoke in Georgian language. The bag was put on his head. In such way, he was not able to see his kidnappers, but could certainly hear them. After few hours of driving, his kidnappers passed Mukhtarli in to the hands of people who spoke in Azeri language. 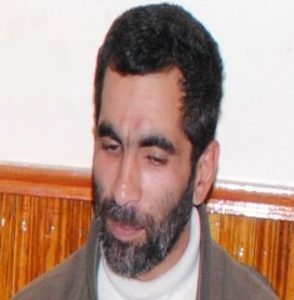 A. Mukhtarli was severely beaten, there were signs of beatings and tortures on his face and body. 10 thousands euros were put inside his pocket. 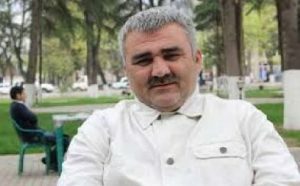 On June 6, 2017, Baku Court of Appeal chaired by Judge Ilqar Murguzov dismissed the complaint on arrest of journalist A. Mukhtarli. The criminal case against the journalist was forwarded from State Border Service to the Investigation Department for Grave Crimes of the General Prosecutor’s Office. 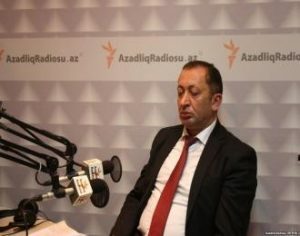 Lawyer Osman Kazimov indicated that the review of the complaint on arrest in Baku Court of Appeal was just a formality. The defence applied with the request to attract video recordings from the camera located at Balakan region checkpoint, which would inevitably confirm the transfer of the journalist through this crossing, and not detaining him at the wrong location. However, the judge dismissed all applications. The ombudsman, civil society activists of Georgia are demanding the full investigation of the involvement of Georgian law enforcement agencies in the kidnapping of A. Mukhtarli. US and EU called for the investigation of kidnapping of A. Mukhtarli and demanded his release. 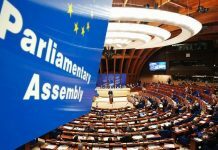 The European Parliament passed a resolution on June 15, 2017 which “strong condemns the abduction of Afgan Mukhtarli in Tbilisi and his subsequent arbitrary detention in Baku” and “considers this a serious violation of human rights and condemns this grave act of breach of law”. Employee of Azadliq newspaper disseminated video, criticising local government. According to official version of the charge, Ziya Asadli committed act of hooliganism at the local cafe. However, base on the local’s testimonies, given cafe belongs to the employee of the local police – Major Vaqif and Asadli never visited this cafe. In his testimonies, Ziya Asadli, indicated that on April 19, he was passing by the street near this cafe, and the employee of the cafe attacked him and beat him. Ziya Asadli called to Police (102) and informed police about the attack. Nevertheless, he was charged himself under the article of hooliganism. Ziya Asadli is handicap of second degree and father of two kids. Aliabbas Rustamov is a member of the lawyer collegium, director of human rights organisation Yasavul. Before his arrest, Rustamov sharply criticised government policy on his Facebook page. 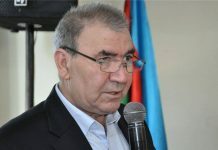 During presidential elections in 2013, he actively supported the candidate from opposition Jamil Hasanli – chairman of the National Council of Democratic Forces of Azerbaijan. A. Rustamov participated in the opposition rallies. After elections, he continued to participate in the meetings of NCDF. On March 17, 2014, he published in all newspapers, open letter to Ilham Aliyev, where he criticised government officials for stealing millions from the nation. Asif Yusifli is an advisor of chairman of the Popular Front Party of Azerbaijan and the member of board this party. On the day of his arrest, A. Yusifli drove to the office of the Party in the car that belonged to the chairman of Narimanov Branch of the PFPA. On his way back, the driver went to the shop to buy some cigarettes, and when he returned, he did not find A. Yusifli in the car. Later, it became known that A. Yusifli was detained by the employees of the Main Department for organised crimes by the Ministry of Internal Affairs. A. Yusifli is handicapped and not long before his arrest, he had operation on his leg. He has two young children. One of his kids is suffering from severe diabetes. A. Yusifli was arrested without sanctions, with brutal violations of law. His guilt was not proven during the trial. F. Ahmedli is the head of the Youth Committee of Khatai District Office of the PFPA. 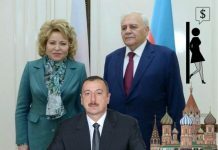 He constantly posted critical articles at social networks about the policy of Ilham Aliyev. In 2015, F. Ahmedli was twice arrested for participating in opposition rallies for 25 and 10 days. After the failed coup in Turkey, on July 15, 2016, Azerbaijan authorities started arresting opposition activists under the bogus charge of having connection with so-called Gulen cemaati (Gulen’s community) – followers of Fathullah Gulen. F. Ahmedli was among them. During unauthorises search at Ahmedli’s house, the brochures and statements of Fathullah Gulen, including documents allegedly confirming the membership to Gulen’s community were found. Relatives found out about his arrest only 10th day. The lawyer was only allowed to see him on the 10th day of his arrest at Detention Centre of the State Security Service (former Ministry of National Security). Then he was transferred to Detention Center in Kyurdakhani. Sentence: On September 18, 2018 the Baku Grave Crimes Court sentenced to 6 years in prison. Orhan Bakhyshly is a member of Youth Committee of the PFPA and deputy chairman of the Khatai branch of PFPA Youth Committee. Chairman of Khatai department Fuad Ahmedli is currently political prisoner. Fuad Ahmedli was arrested on December 25, 2015. On June 16, 2017, Baku City Court on Grave crimes sentenced him to 4 years in prison). Orhan Bakhyshly leaded active political and social life. He often criticised policy of authorities during different events, and at social networks. He was also responsible for organising various PFPA events. 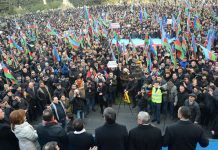 On the eve of March 31, 2018 rally, organised by National Council of Democratic Forces of Azerbaijan, several members of PFPA were brought to administrative responsibilities: Abdullah Mahmudov to 30 days (on March 26, 2018), Ayaz Qasimov to 15 days (on March 29, 2018), Orhan Bakhyshly to 30 days (on March 27, 2018). All the detainees were accused of committing the offence under Article 535.1. (insubordination to legal demands of police) of the Criminal Code of the Azerbaijan Republic on administrative violation. Young activists who organised the rally were arrested on the eve of the rally. On May 3 2018, on the World Press Freedom Day, during his speech at the grave of killed journalist Elmar Huseynov O. Bakhyshly accused Azerbaijani authorities in his murder. Already on May 7, he was arrested. Bakhyshly denies the charges, indicating that he does not even smoke. According to activist, drugs were planted to him by police officers. Sentence: On February 27, 2019 the Baku Grave Crimes Court sentenced to 7 years and 3 months in prison. 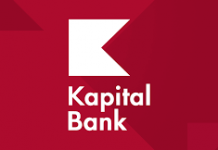 Charge: Articles 192.2.3 (Illegal business committed with extraction of income in the significant size by organized group); 193-1.3.1 and 193-1.3.2 (Legalization of money or other property obtained by crime committed in the large size) of the Criminal Code of the Azerbaijan Republic. On May 25, court chose preventive measure towards A. Maharramov in form of arrest for the period of 4 months. On June 01, 2018 the Baku Court of Appeal dismissed the complaint on his arrest. 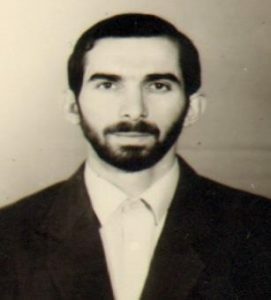 Saleh Rustamov was the head of the executive authority of Gadabay District in 1992-1993, during the rule of the Popular Front of Azerbaijan. He lived in Russia for the last 20 years. He visited Azerbaijan once in a year. 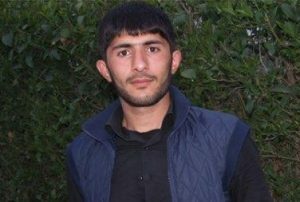 On May 08, while retuning home, he was detained in Shamkir District. He was charged in drug trafficking. On May 10, his nephew, Vidadi Rustamov was arrested under same charge. 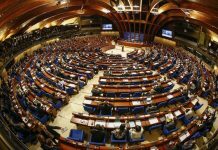 After 2014-2015 events, independent non-governmental organisations and the representatives of civil society in Azerbaijan became deprived of any possibility to receive financial assistance from foreign donors. 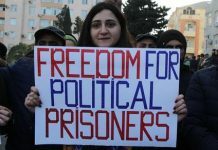 Azerbaijan authorities started persecuting Azerbaijanis who live abroad, and who provide support to the opposition and political prisoners in the country. Since the beginning of May 2018, the arrests of Azerbaijani activists living abroad, but aiding financially, sending donations to Azerbaijan, trying to support with medicine and products the political prisoners – began. There are tenth of people in prison who are not receiving food parcels. Also were arrested Agil Maharramov, Babak Hasanov…. 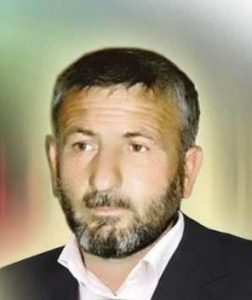 Azad Hasanov is an activist of the opposition Musavat party since 2003. 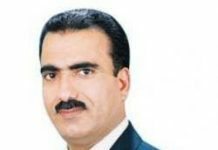 In 2010, he was a member of the election campaign Committee of the chairman of the party Musavat Arif Hajili in the presidential elections and for this reason was subjected to pressure from the authorities. In 2014, he was forced to leave his homeland and obtained political asylum in Lithuania. On October 10, he returned to Baku to visit his seriously ill father, who may die soon. The next day, on October 11 he was detained and escorted to the Baku Police Headquarters. The detainees did not introduce themselves that they were from the police. The police planted drugs on him, demanding to give a confession, threatened to torture him. He was forced to write what they dictated to him. Hasanov himself spoke about this at the meeting of the court of appeal. 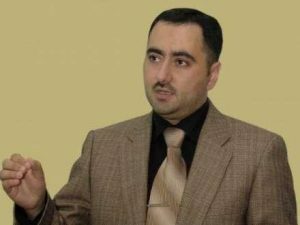 Azad Hasanov is known for his critical status against Ilham Aliyev in social networks. His arrest has the purpose to intimidate members of opposition living in emigration. On January 13-18, 2007 about 30 people were arrested in Baku in the Said Dadashbeyli case. Some of the detainees were released later under the condition to witness against the rest 11 people being kept in the National Security Ministry (MNS). The law was grossly offended already at the start of the arrest of the accused: without a court ruling, without presence of the very accused and without arrest witnesses independent from the special services, the MNS officers were breaking into the apartments of the accused and were openly planting the arms and other “evidence” despite the protesting and outraged relatives. All this grossly violates Article 125 of the Criminal Code of Azerbaijan. The first days after the arrest, none of the arrested was offered an opportunity of employing counsel. During the first seven months of the investigation none of them was delivered to court to bring charges against, to issue an arrest warrant and pass a court decision on placement in custody for the period of the investigation. This also shows the gross violation of the law. The accused were for the first time delivered to court, to the first session of the Grave Crimes Court only on September 17, 2007, in other words 8 months after the arrest! All the investigation long and before the trial, from January 13 to December 11, 2007, the accused were put into solitary cells of the MNS and tortured. They were frequently beaten, deprived of sleep, water and food; psychotropic medication was used against them; the MNS threatened to use violence against their family members if they refused to confess as the investigation wanted. In March 2007 one of them, Emin Mammadov, died of brutal torture. His death was medically certified of the causes. During several months his parents and the public were not informed about his death. 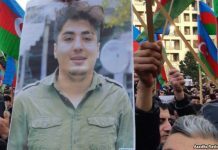 His family was threatened with new repressions should they turn to human rights defenders and even get the public to question the whereabouts of killed Emin Mammadov. When the lawyer inquired about his whereabouts of investigated E. Mammadov, the MNS replied that they did not know anything about this person – he was allegedly never taken to the MNS. 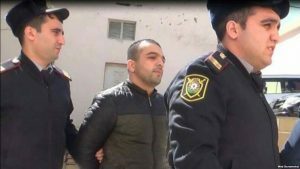 Moreover, the name of Emin Mammadov was never mentioned during the court hearings. He disappeared completely for the court and the public. The trial was closed. Even the relatives were not allowed in! But according to Article 200 of the Code of Criminal Procedure of Azerbaijan, a court hearing can be closed and non-public when a state secret is available. But the indictment does not mention a state secret, nor does it refer to Article 200 of the Code of Criminal Procedure of Azerbaijan to ground the closed hearing. Therefore, the closed hearing of the case was illegal and added to gross violation of law. In the course of the trial, the accused flatly denied all the charges, told about the tortures and other abusive treatment they suffered. As it turned out during the trial, many of the accused of creating a underground terrorist organization in fact did not even know each other! None of the charges was proved. But the trial, however, ended in the victory of the prosecution. The Islamic Party of Azerbaijan (IPA) was founded in 1991 in Baku and registered in 1992. Although the IPA’s registration was revoked in 1995 by the Supreme Court, its activity was not actually banned. Thus the party is still operating without registration. When Movsum Samadov was elected as the Party Chairman in 2007, the party applied to the Ministry of Justice for registration. The Ministry did not register the party. At the IPA General Assembly held on January 02, 2011, Samadov made a speech strongly criticizing President Aliyev for the social situation in the country. In his speech, Samadov referred to articles from the Washington Post and the New York Times about villas in Dubai reportedly owned by the president and his son, adding that the wealth of the Azerbaijani people and state had been stolen; there were no jobs for Azerbaijani youth despite the country’s great wealth; injustice and bribery ruled in the country; the money spent on the Flower Festival to celebrate the birthday of former President Heydar Aliyev was essentially stolen from the people; and idolatry was promoted in the country by idolizing Heydar Aliyev. Samadov’s speech went viral on social media networks, particularly on YouTube, leading to broad discussions. Five days after this speech was made, on January 07, 2011, Samadov and many of his fellows were arrested and charged in preparation of a terrorist act and a coup. However, in court Movsum Samadov and other arrested believers categorically rejected all charges and stated that law enforcement officials planted them weapons during the arrest, then tortured during the investigation. During the trial the prosecution had failed to prove the fact of preparation of terrorist act and a coup. But the court nevertheless agreed with the arguments of the prosecution and sentenced to large period of imprisonment. The theologian Faramiz Abbasov passed through the same trumped-up case with Movsum Samadov. Charge: Articles 28 (Preparation to a crime); 214.2.1 (Preparation of terrorism, committed on preliminary arrangement by group of persons, by organized group or criminal community/organization); 214.2.3 (Preparation of terrorism, committed with application of fire-arms or subjects used as a weapon) and 228.3 (Illegal purchase, transfer, selling, storage, transportation and carrying of fire-arms, accessories to it, supplies or explosives, committed by organized group) of the Criminal Code of the Azerbaijan Republic. Firdovsi Mammadrzayev passed through the same trumped-up case with Movsum Samadov. Dayanat Samadov also passed through the same trumped-up case with Movsum Samadov. Abgul Suleymanov is well known in Azerbaijan as a religious activist and influential religious figure. Abgul Suleymanov, who was teaching the Koran and Islamic religion since 2001 on a mobile basis, helped to establish the “National Moral Values” Public Union in 2005. On 12 August 2011, the Ministry of National Security (MNS) and the Prosecutor General’s Office released a joint statement saying Suleymanov and journalist Ramin Jahangir oglu Bayramov and IPA member Arif Gulsuvar oglu Ganiyev who were arrested together with him were suspected of assisting a foreign state and its delegates in conducting enmity against Azerbaijan, as well as inciting mass disorders and violation of public safety, and encouraging people for disobedience. The statement went on to say that Suleymanov, with financial support from the Baku-based Cultural Center of the Islamic Republic of Iran, created and led a radical religious group called “Jafari” without official state registration. All three were sentenced to pre-trial detention. Although they were subject to a joint investigation, their trials were conducted separately, in conflict with the statement released on 12 August. The district courts sentenced Ramin Bayramov and Arif Ganiyev to 1.5 years in jail (Ramin Bayramov was recognized by Amnesty International as a prisoner of conscience; both men have since been released). But Suleymanov’s case was heard by the Baku Court of Grave Crimes. The trial started in August 2012. The last decision about Suleymanov’s pre-trial detention was issued by the Sabayil District Court on 6 April 2012. The decision stated that his pre-trial detention was extended to 11 May 2012. This clearly showed that Suleymanov was detained in prison for three months (from May to August 2012) illegally, that is, without a court decision. During the investigation and at the trial Abgul Suleymanov stated about the falsification of the charges against him and indicated that weapons and drugs were planted by police officers. Abgul Suleymanov is a victim of political repressions against popular religious figures. Inqlab Ahadli – deputy of chairman of the IPA, headed the Committee for the protection of the chairman of the IPA Movsum Samedov, published an appeal on ordered nature of M. Samedov’s sentence. He was arrested by intelligence officers in his own house. The investigation and trial was being conducted in secret. Official information: he is accused in secret collusion with foreign intelligence services since 2011 and in this regard in 2016 a criminal case was opened under Article 274 of the Criminal Code of the Azerbaijan Republic. Together with the journalist Araz Quliyev (in the list at No. 2) on September 08, 2012 during the action of believers in Masally City was arrested also 7 believers. First they were accused of hooliganism (Article 221.2 of the Criminal Code of the Azerbaijan). Subsequently new articles were added: 233 (Organization of actions promoting infringement of a social order or active participation in such actions); 283.1 (The actions directed on excitation of national, racial or religious hostility, humiliation of national advantage, as well as actions directed on restriction of citizens rights, or establishment of the superiority of citizens on the basis of their national or racial belonging, creeds committed publicly or with use of mass media); 315.2 (Resistance or application of violence concerning the representative of authority, committed with violence dangerous to life or health) and 324 (Violation of the National Flag or State Emblem of the Azerbaijan Republic) of the Criminal Code of the Azerbaijan Republic. In addition, some were accused with drug possession. On April 05, 2013 the Lankaran Court of Grave Crimes found all of them guilty and sentenced to various terms of imprisonment. The guilt of defendants under these articles of the Criminal Code of Azerbaijan was not proven neither during the investigation nor in the court. Doctor (Ph.D.) Elshan Mustafaoglu worked in 2006-2007 on Public TV and led the most popular program about religion “Friday conversations”. Also in 2007, on ANS TV he led a program “About God and Religion”. 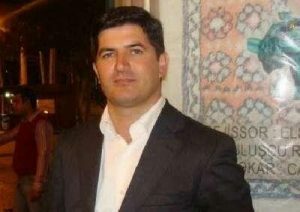 At the trial E. Mustafaoglu categorically rejected all the charges and said about systematic tortures during the investigation. The defendant’s lawyer Afgan Mammadov stated that there are no materials demonstrating validity of the accusations. There are arrested at different times and in different places and are the victims of political repressions of regime that brooks no dissent and criticism. There are all residents of Nardaran village which is located 40 km from Baku, has low standards of living and acute unemployment problem. One of the most respected by Shiites mosques, founded in the 8th century, is located in Nardaran. Nardaran differs from other Baku villages with its religiosity. In 2000, 2002, and 2006, the residents of Nardaran held peaceful protests with socio- economic demands. In June 2002, police carried out military operation in the village, as a result of which 28 people were injured, one died. 23 people were sentenced to various terms of imprisonment on falsified charges; in espionage in favour of Iran, in attempt of violent change of power, and etc. However, as a result of the active work of human rights defenders, none of them remained in the custody after 2005. On November 26, 2015, there was another police operation in Nardaran. Armed with automatic weapons, the police entered the village and opened heavy fire. As a result, 6 people were killed, including two police officers. Dozens of citizens were arrested. The Ministry of Internal Affairs and General Prosecutor’s Office issued the joint statement, in which they explained the use of firearms against the villagers as an operation necessary to neutralise a criminal armed group that functioned under a religious cover, which planned mass riots, terrorist acts and destabilisation of the socio-political situation in the republic. On July 19, 2016 the trial of 18 defendants in the Nardaran case was held in the Baku Grave Crimes Court. During the trial all the accused testified that both the policemen and four residents of Nardaran were killed by the police officers. On the trial defendants informed that the police beaten them to death in a car in which they were transported to the Main Directorate for Combating Organized Crime (MDCOC) of the Ministry of Internal Affairs. The accused told about brutal tortures to which they were subjected in the MDCOC. All appeals of lawyers to the Prosecutor’s Office to the need of investigation of the facts of tortures and crimes of law enforcement officers were ignored. 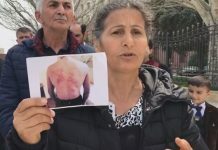 Taleh Bagirov testified that he was beaten and tortured more than 30 days so he testified against leader of the opposition Popular Front Party of Azerbaijan Ali Kerimli and chairman of the National Council of Democratic Forces Jamil Hasanli. The majority of those arrested had no lawyers, all witnesses against them were police, and many of believers were convicted without trial. But when conducting trials, there were no evidence against the accused presented at these trials. We divided 46 political prisoners in so-called Nardaran case into three groups. Charge: Articles 28 (Preparation to a crime); 214.2.1 (Preparation of terrorism, committed on preliminary arrangement by group of persons, by organized group or criminal community (criminal organization); 214.2.3. (Preparation of terrorism, committed with application of fire-arms or subjects used as a weapon); 220.2 (Appeals to active insubordination to legal requirements of representatives of authority and to mass disorders, as well as appeals to violence above citizens); 228.4 (Illegal purchase, selling or carrying of gas weapon, cold steel, including throwing weapon, except for districts where carrying of a cold steel is an accessory of a national suit or connected to hunting) and 315.2 (Resistance or application of violence concerning the representative of authority, committed with violence dangerous to life or health) of the Criminal Code. Sentence: on December 06, 2017 the Baku Grave Crimes Court sentenced to 13 years in prison. Nahid Qahramanov was arrested on November 5, 2012 for participation in the rally “Freedom to a hijab” and sentenced to 4 years. He was recognized as “the prisoner of conscience” and in 2014 released by presidential pardon. Charge: On December 2, 2015 wanted under the article 315.2 (Resistance or application of violence concerning the representative of authority, committed with violence dangerous to life or health) of the Criminal Code of the Azerbaijan Republic. E. Iskandarov was prosecuted on Nardaran events in November, 2015. He was charged with the same charges as the activists of the Muslim Unity Movement. All arrested in this case are in the list of political prisoners and recognized as political prisoners by Amnesty International, HRW and other human rights organizations. On November 26, 2015 the joint operation of the Ministry of Internal Affairs, the Prosecutor General’s Office and State Security Service was carried out exactly in the house of Abulfaz Bunyadov, where the Chairman of the Muslim Unity Movement Tale Bagirzade was praying (namaz) together with other believers. 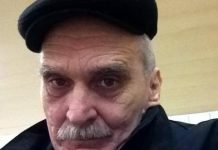 As a result of the police shooting A. Bunyadov was wounded. This injury has caused him full paralysis, and A. Bunyadov became bedridden. However, despite his paralysis, A. Bunyadov was sent to Baku Pre-trial Detention Centre No. 1 on a stretcher. Then the measure of restraint in the form of detention was changed to police supervision. A. Bunyadov was sent home. 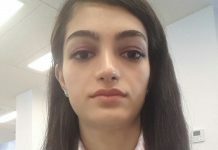 M. Akhundzada studied at religious educational school (madrasa), on social networks wrote critical articles about the policy of the authorities of Azerbaijan. He was arrested after the “Nardaran events”, when come back home from Iran. The theologian was arrested on the complaint of the Chairman of the Executive Committee of Masally City. The investigation took place more than a month, but without results. The article incriminated to the theologian does not involve arrest and detention for the period of investigation. There is a complete violation of all the rights of the arrested person. 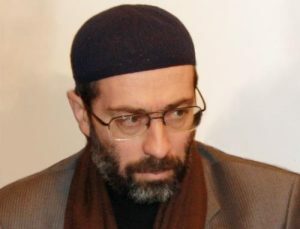 The prosecution said that S. Babayev broke the law – he had no right to hold religious ceremonies at the mosque because he was a graduate of a foreign religious university. Allegedly he repeatedly made warning, but he ignored them. In response, the lawyer pointed out that Sardar Babayev graduated from a foreign Islamic University in 2000, while legislative restrictions on conducting of religious ceremonies of graduates of foreign universities was introduced in 2015, and the law could not retroactive effect. In addition, all heads of the Board of Muslims of Caucasus also educated abroad. In fact, S. Babayev was arrested for his independent position and had raise in his sermons social problems. 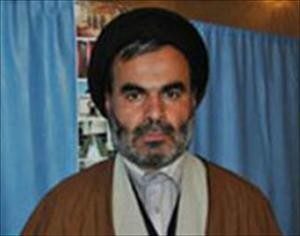 Ahsan Nuruzada actively participated in the protection of the rights of arrested members of the Muslim Unity Movement, assisted in covering of the trial in media and social networks. In 2016, twice was detained administratively. 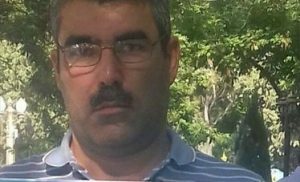 On October 06, 2017, A. Nuruzada was again detained in the courtyard of his house by persons in civilian clothes. Three days the lawyer appealed to the police and the courts, trying to establish his location. But only on the evening of October 09, 2017 in the Pre-trial Detention Center No. 1 of Kyurdakhani confirmed that A. Nuruzada transferred to the detention centre. On May 6, 2011 Elshan Abbasov participated in the rally of believers in front of the Ministry of Education demanding the lifting of the ban on wearing hijab (hijab is a Muslim woman’s headdress) in schools. For participation in this rally was arrested and sentenced to 2 years in prison on charges of public disturbance. After the arrest of the activists of the Muslim Unity participated in trials, rallies in support of the movement. As result, was arrested without the sanction of the prosecutor and without participation of witnesses. 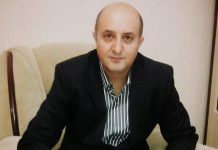 Shamkhal Eyvazov is a theologian, studied in Iran in the Qum City, actively participated in publishing site www.sizinyol.com . For this, his family for a long time is controlled by the police. 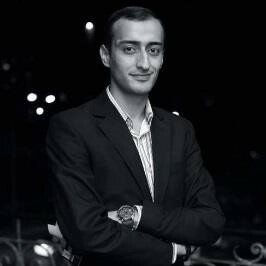 On April 16, 2018, Shamkhal Eyvazov together with his brother Migdad Eyvazov passed a customs inspection at the border with Iran and were detained and taken to the Main Directorate for Combating Organized Crime of the Ministry of Internal Affairs of Azerbaijan, where illegally detained more than 4 days. Only then they announced a ban on leaving the country. The arrest of Eyvazov Shamkhal is a continuation of repressions against peaceful believers. 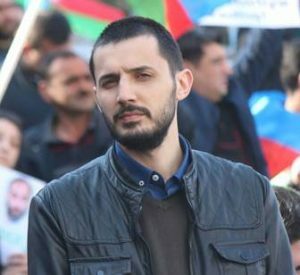 Firudin Zeynalov participated in the trials of those arrested in connection with Nardaran case, actively protected the rights of defendants, in the social networks distributed facts of fabricated proofs. He was arrested in Ganja City on October 01, 2017. The trial of Firudin Zeynalov is being held with gross violations – he was kept in a glass cell in handcuffs with a disabled microphone. All lawyer’s protests are rejected. The trial continues. 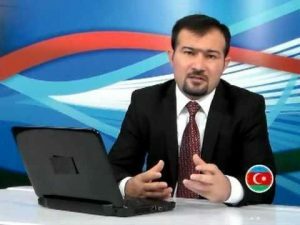 Emin Nagiyev is the brother of wife of Turkel Azerturk, who is in the political emigrant and presenter of television programs on Azerbaijan Saaty (Azerbaijan hour) TV. This TV created by political emigrant Ganimat Zahidov – former political prisoner and chief editor of the opposition newspaper Azadliq. The programs sharply criticize the policy of the authorities. From 2014, in Azerbaijan began to arrests relatives of journalists living abroad Azerbaijan and cooperating with this TV. 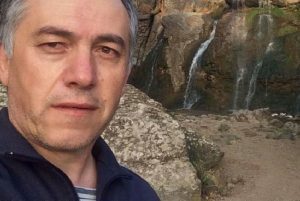 The charge against Emin Sagiyev is punishable by imprisonment from 5 to 12 years. In the Main Directorate for Combating Organized Crime of the Ministry of Internal Affairs of Azerbaijan as “proof” of support of contacts with T. Azerturk was shown his congratulations on the occasion of the birth of a child with Turkel Azerturk’s child. Sentence: in 1996 was sentenced to death, commuted to life imprisonment. Sentence: in 1993 was sentenced to death, commuted to life imprisonment. In 1993-1997 the ruling regime of Azerbaijan condemned a large group of veterans of Karabakh conflict – soldiers and police officers for political reasons to death under the Criminal Code approved by the law of the Azerbaijan SSR on December 08, 1960. All convicts were tortured, some died in prison before the trial. On 10 February 1998, the Parliament of the Republic adopted the law On amending the Criminal Code, the Criminal Procedure Code, and the Correction-Labor Code, to abolish the death penalty in Azerbaijan. Article 4 of this law stated that the punishment of persons sentenced to the death penalty prior to the law taking force, shall be replaced with a sentence of life imprisonment. In fact, death penalty was replaced with a type of punishment that was not enshrined in any legislation at the time. 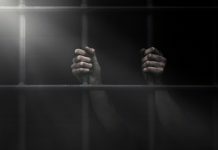 The new Criminal Code of Azerbaijan Republic, which provides for the punishment of life imprisonment, entered into force in 2000. The old Criminal Code, which was in force until 2000, did not provide for life imprisonment, but for the death penalty and a maximum term of 15 years of imprisonment. Therefore, all persons sentenced to the death penalty before 2000 should have to replace the penalty to 15 years of imprisonment or to judge again. It is not legally lawful for them to replaced the death penalty for life imprisonment without trial and a court verdict on the basis of a decision of Parliament. 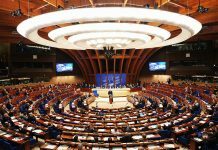 When Azerbaijan joined to the Council of Europe in 2001, the Institute for Peace and Democracy (Director Leyla Yunus) presented a list of 716 political prisoners to the CoE experts. This list included also mentioned above 14 people. All of them were found for political motives.